Trips - The best place to dive in Georgia is Florida. All divers must be members of Divers Alert Network (DAN) and carry DAN Dive Accident Insurance. I strongly recommend that you also have dive travel insurance. You can get dive travel insurance through DAN or Dive Assure. Want to see what our trips are like? Look at some of our past trips. West Palm Beach offers drift diving off boats and easy walk-in shore diving with no current at the world famous Blue Heron Bridge. Divers on West Palm Beach trips have swum with sea turtles, goliath groupers, rays, eels, octopi, bull sharks, lemon sharks, nurse sharks, and more! 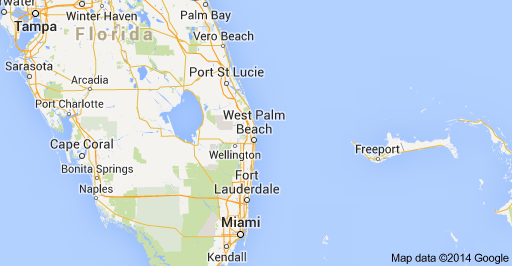 I offer two trips to West Palm Beach: Open Water, and Advanced. I can take up to 10 students on certification trips. Open Water trips are designed for students completing Open Water certification and open water divers diving for fun. Priced in the $300 to $500 range, depending on whether you book your own lodging or complete a certification, these trips are perfect for graduates of GT Scuba's Scuba 1 course. Trips without links are tentative and listed here as possibilities because those weekends have favorable tides. Advanced trips are designed for continuing education students completing their Advanced Open Water rating, or advanced divers diving for fun. Priced in the $360 to $550 range, depending on whether you book your own lodging or complete any certifications. I also include the Peak Performance Buoyancy specialty, making these trips perfect for graduates of GT Scuba's Scuba 2 course. Key Largo is farther and more expensive than West Palm Beach, but offers the advantage of easily accomodating both open water students and advanced continuing education divers. On one trip we can take charters to 100 ft deep wrecks and 30 ft deep coral reefs. The Florida panhandle offers decent ocean diving (though a far cry from south Florida) and is easy to get to by car, making a 2-day weekend certification trip possible. Vortex Spring is nearby and offers the option to do the first 2 or 3 certification dives in an easy walk-in spring (though Vortex Spring is very cold - 68 F). There are several fresh water springs near Gainesville, FL, which is an easy five-hour drive from Atlanta. These springs feature crystal clear 72 F water year-round and some of them are pretty fun dives (like Devil's Den). Camping is avilable at these springs, offering the possibility of very inexpensive lodging. I insist that open water students experience the wonder and excitement of the ocean on their certificaotin trip. You don't get certified in scuba diving so you can dive in a cold quarry or muddy lake. But for continuing education divers who don't have the time or money to devote to a Florida trip there are several local options. Note that these local bodies of fresh water can be quite cold in the winter.